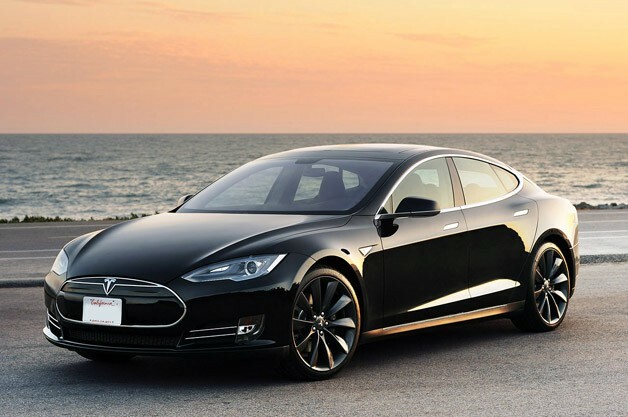 "Consumer Reports is calling the Tesla Model S the best car it has ever tested. The Model S, an all-electric plug-in car, earned a score of 99 out of a possible 100 in the magazine's tests. The score would have been higher but for the fact that the all-electric car does need to stop and recharge during extremely long-distance drives. "If it could recharge in any gas station in three minutes, this car would score about 110," said Jake Fisher, head of auto testing for Consumer Reports. Fisher called the car's performance in the magazine's performance tests "off the charts." Depending on price, the Model S has driving range of between 208 and 265 miles. A full charge takes about six hours from an ordinary 240 volt outlet, according to Tesla. The Model S has already won awards from car magazines like Motor Trend and Automobile, but Consumer Reports is widely regarded as being the most influential magazine among car shoppers. Consumer Reports, published by the non-profit group Consumer's Union, purchases all the cars it tests and does not accept paid ads. The score of 99 means the Tesla (TSLA) Model S, a sedan that can seat as many as seven people, performed as well or better than any automobile the magazine has ever tested. The score is not unprecedented -- most recently, it was earned by the Lexus LS460 in 2009 -- but no car at any price has ever scored higher. Prices for the Model S start at about $70,000, not including federal and state tax incentives for electric cars.